There are a lot of moving parts when selling your home on Chicago's North Shore. 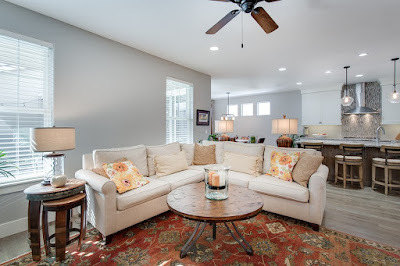 From finding the best listing price to making any necessary repairs and of course, staging the home to pique buyer interest. Staging can go a long way for home sellers as staged properties oftentimes sell quicker and for more money than those that skip this step. However, that is if you do it correctly. The best mindset to adopt when selling your North Shore home is to keep it simple. Even though you think the home would look great by filling every corner with thought-out trinkets and knick knacks, it's best that you leave it clean and neutral. Buyers will want to envision themselves living there and it can be difficult when every room is filled to the brim with decor and furnishings. If you have a beautiful, sprawling dining room or open living space that is really one of the highlights of your North Shore home, use your furniture wisely when staging. Don't place a small round table or a petite sofa in a grand space and move on to the next room. You may think this creates the illusion of more space, but in fact, it tells the buyers that it could be difficult to decorate or that there isn't enough room to live in the space. Think about the size of your furniture thoroughly before staging. Remember that buyers are not familiar with your home in Glencoe, Winnetka, Highland Park, Deerfield, or Northbrook. They don't know that the closed door is not just a closet, but the stairway to the basement. Open the doors before buyers arrive to view your home to ensure they are getting the best impression of the property. As I mentioned above, you want buyers to be able to imagine themselves living in your home, so refrain from using too many artificial decor elements. Faux plants and fruit give the illusion that a home is cold and not easily lived in. Do your best to incorporate real plants to give off cozy, realistic vibes. In the same way that over-designing is wrong when staging your home, so too is over-neutralizing. It is true that a neutral palette will appeal to the most buyers, but your home should also have unique characteristics that allow it to stand out in a buyer's mind. Now that doesn't mean that you should paint a wall a bold, red hue, but it is fine to bring in subtle pops of color here and there. Ready to sell your North Shore home and move on this year? Give me a call today! I'm here to guide you through the entire process and prepare your home to attract the most buyers. 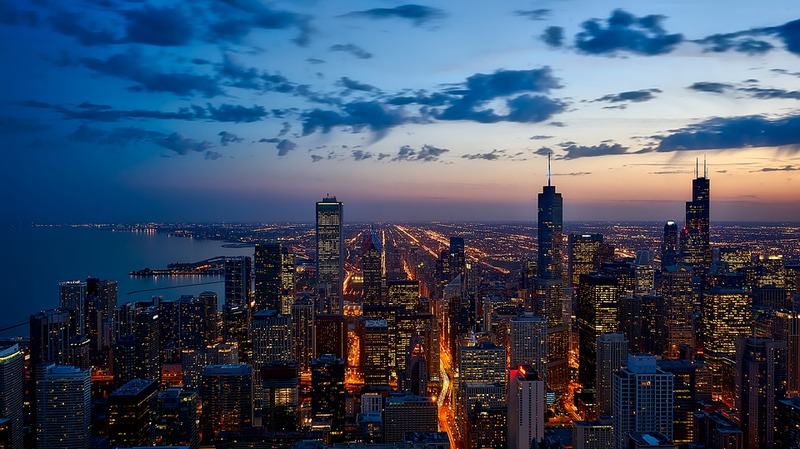 No matter how long you've been searching for properties on Chicago's North Shore, or the location in which you're looking, you are bound to come across a new construction home at some point. 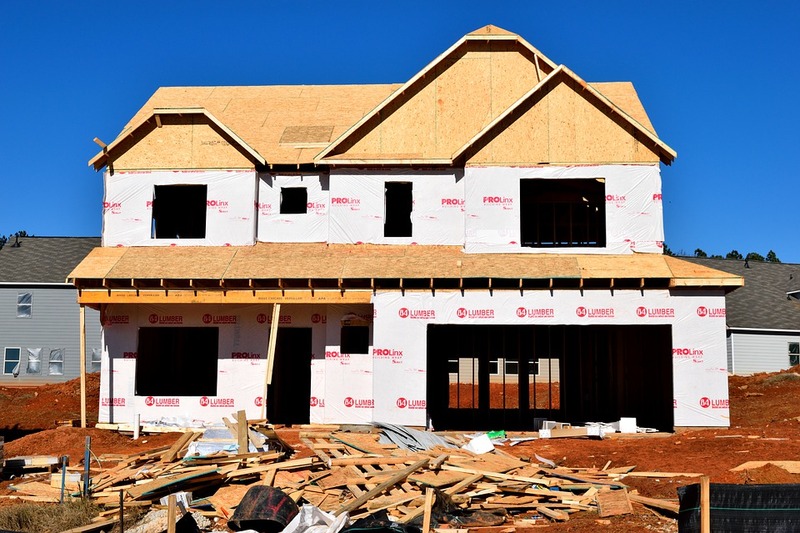 And if after touring options in Glencoe, Winnetka, Highland Park, Deerfield, Northbrook, or Evanston, you ultimately decide that it's a new construction home that would suit you best, there are a few important factors to note. Oftentimes, new construction homes are not found in the MLS (or rather, readily available to you on real estate websites) as builders have a team working on-site, advertising in newspapers or other local media. If you're set on a new build home, let your agent know so they can find the best properties for you. Early in the sales process, builders are eager to get as many contracts signed as possible to fuel future sales. This could mean great things for you as a buyer as there may be room to negotiate a lower price, but remember that you are then committed to the build and could risk losing your down payment should you decide you don't want to move forward before breaking ground. If the builder is nearing the end of the project, they may be more open to compromise. Even if they refuse to budge on price, they may be willing to give you a discount in the form of upgrades. For instance, they could offer you hardwood floors instead of carpet, stainless steel appliances instead of standard. In the long run, the upgrades may make for a better deal than any price drop! Whether you're interested in new construction homes in Glencoe, Winnetka, Highland Park, Deerfield, or Northbrook or older homes with endless character, I will be your guide! My years of experience as a North Shore real estate expert will help you find the best home for you and your family, at the best price! There are many great reasons to buy a home on Chicago's North Shore— picturesque neighborhoods, great schools, a strong sense of community, proximity to entertainment, you name it! One factor that you may not always consider in your buying decision, however, is your commute. If you plan to buy a home on the North Shore and work in the city or in one of the surrounding areas, there are a few things you should note first. Before you decide on the North Shore community where you will make your purchase, it's essential to consider the costs of your commute. The average commute time in the US is 25 minutes, but the farther away you make your home purchase, the more you will accrue in costs, including gas and vehicle maintenance. When you have a potential home in question, map the time from the front door to your workplace and then estimate gas mileage. Perhaps you currently work in Deerfield, but found the perfect homes in Winnetka and Glencoe. One thing you will want to research prior to deciding on a community is the difference in home prices. You will find that certain communities on the North Shore have higher prices than others, so do not hesitate to contact me to find the best area for both your needs and your budget! As I mentioned above, the costs of a longer commute time can take a toll on your wallet. However, if you have a flexible work schedule—perhaps you can set your own hours—you may be able to open up your options in terms of location and not worry so much about how long it takes to get to your desk in the morning. Does a long commute time cause your stress to go through the roof? Does sitting in traffic or behind the wheel for an hour put a damper on your whole day? You will want to ask yourself how you feel about that long commute time and how it affects your mental outlook before you decide which North Shore community to call home. Ready to browse available homes on Chicago's North Shore in a place that makes sense for your commute? Give me a call today! City Active Listings: There are a total of 96 properties actively on the market with the average price of $2,085,568 in Winnetka. City Sold Listings: 10 properties closed last month in Winnetka with an average sales price of $1,439,192. The average time on market for these properties was 101 days. City Active Listings: There are a total of 117 properties actively on the market with the average price of $704,326 in Deerfield. City Sold Listings: 27 properties closed last month in Deerfield with an average sales price of $477,967. The average time on market for these properties was 59 days. City Active Listings: There are a total of 189 properties actively on the market with the average price of $739,621 in Northbrook. City Sold Listings: 52 properties closed last month in Northbrook with an average sales price of $488,430. The average time on market for these properties was 51 days. City Active Listings: There are a total of 74 properties actively on the market with the average price of $1,500,226 in Glencoe. City Sold Listings: 52 properties closed last month in Glencoe with an average sales price of $1,135,880. The average time on market for these properties was 135 days. City Active Listings: There are a total of 237 properties actively on the market with the average price of $1,003,036 in Highland Park. City Sold Listings: 31 properties closed last month in Highland Park with an average sales price of $513,674. The average time on market for these properties was 104 days. If you have a fresh start on your mind, you may have already started browsing homes for sale on Chicago's North Shore— and you're right to do so! 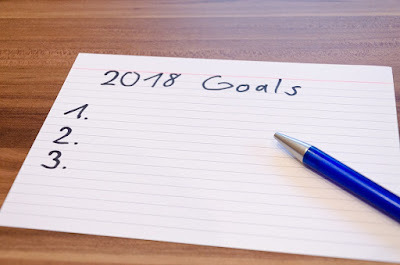 2018 will be a great year to buy a home in Winnetka, Glencoe, Deerfield, Highland Park, Northbrook and the surrounding communities for many reasons, some of which I've included for you below! You have heard over the past few months that prices are rising and that trend is set to continue throughout 2018, just not quite at the rate they were before. Moderate price increases are expected for the real estate market and if you're ready to buy, now is the time to ensure you don't end up spending more than necessary. Just as I mentioned above, you will want to act now on your North Shore dream home to avoid paying more down the road. Interest rates are expected to continue rising, with two to four more hikes over the next 11 months. By the end of the year, rates are projected to be at 5 percent, so don't delay your home purchase! It is no secret that inventory over the last year has been on the lower end of the spectrum— with very few homes for sale on Chicago's North Shore. However, this year we are expected to see a recovery, with the return of inventory to the local real estate market. Middle to upper level price points will show the most growth in inventory, which means your options for available properties will be much wider than in the past. Ready to make a move for the new year ahead? Give me a call today! As your North Shore real estate expert, I am here to help walk you through the entire process!